I shockingly learnt from my invaluable cooking class at Red Feather Inn that you can easily make your own ricotta cheese at home with close to minimal effort and accessible ingredients too. It’s easy, cheaper (than buying it) and you can use it to make delicious ricotta hotcakes, mix it into your scrambled eggs to make it extra creamy or simply use it to top your salad. 1. 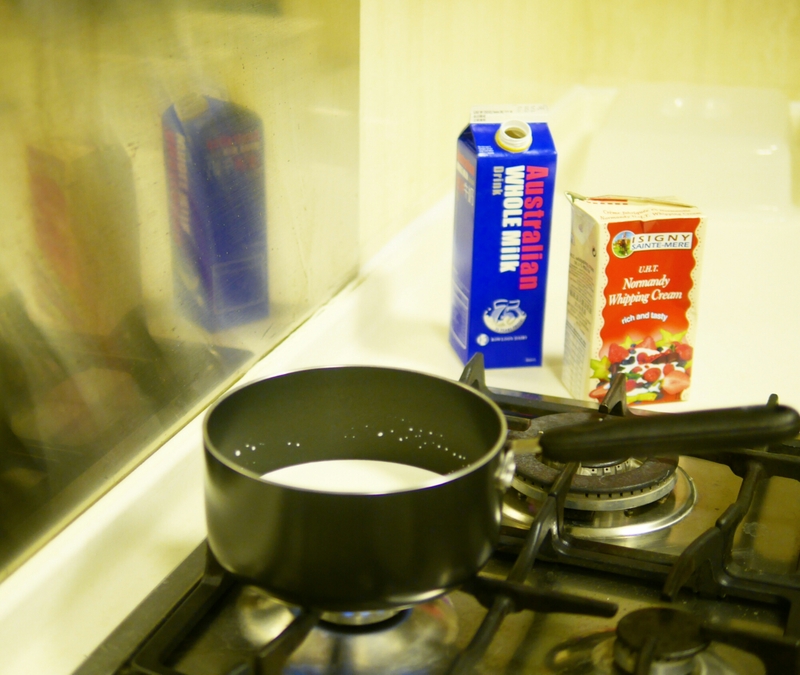 Put the milk and cream into a saucepan and heat over low fire until it is “bearably hot” (I check by dipping my finger) or just as soon as you start to see a bit of steam. Turn the fire off. 2. Pour in about 2 tablespoons of apple cider vinegar. Mix and wait 2 minutes. You should see the mixture curdle into small lumps. Add a bit more vinegar if parts of the mixture are not curdling. 3. 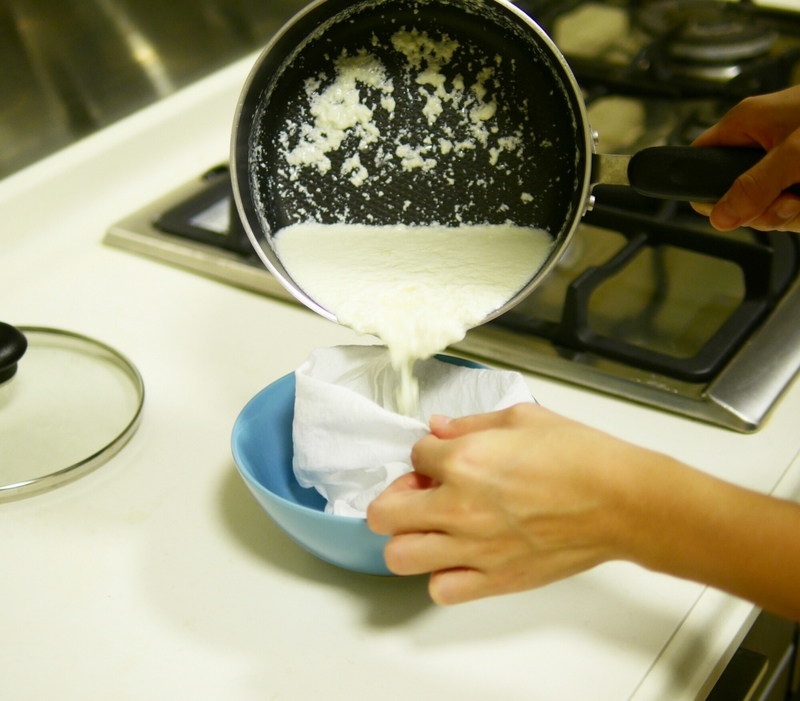 Strain the mixture using a soup bag (cheese cloth) to separate the cheese from the liquid. It’s ready to use or you could store the cheese in the fridge! With this batch of ricotta cheese, I made ricotta hotcakes with this recipe from The Kitchn and it was the best version pancakes I’ve made! The cheese makes the texture moist and fluffy. The leftovers were then used to make a big protein-ful plate of scrambled eggs. It’s an easy upgrade – just mix it in mid-cooking. Enjoy and find more home cooking ideas here!